About - Vanella Farms, Inc.
Robert (Bob) Vanella began farming at the age of 23. In 1968, Bob and his new bride, Susan Peterson, purchased his first almond huller. Farming is a way of life for the Vanella Family, with Bob's son, Robert, joining in the business in 1991. Together they custom farmed almonds, walnuts, and alfalfa and wheat hay. In 2002, Bob's other son, Ryan also joined in the farming business, managing the almond hulling and processing. Over the last 10 years, together they have grown the custom farming business to span over 3,000 acres and three counties. The processing business has also grown and in 1999 the first international load of almonds was sold to India. 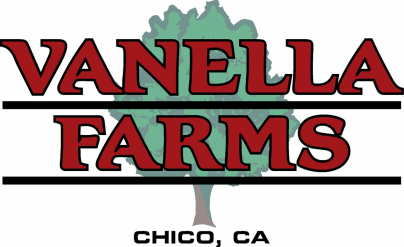 Vanella Farms now sells to several international countries, including China, India, and Europe. In 2013, the family expanded their walnut business and installed a walnut processing facility in Durham, California, which is managed by son-in-law, Jerry MacNally.